Downtown Denver Lunchtime ViPR workouts! Earlier this year, I was introduced to another FUN new workout! My trainer and now good friend Jamie Atlas originally introduced me to the weighted ViPR logs and the variety of exercises that you can do with them at his studio called Bonza Bodies located downtown Denver. Jamie is a Master Trainer for ViPR and uses them regularly in his studio through-out classes. Earlier in the summer, Jamie partnered with PTontheNet Master Trainer Nate Fryer to hold an outdoor ViPR workout at one of our great downtown Denver parks and ever since then I’ve been HOOKED! Is the ViPR workout THAT unique? REALLY? Actually… it IS! However… I’ll admit, I’m pretty easy when it comes to getting me to join in a GROUP workout! If it’s effective and FUN and even MORE important… SOCIAL? Then I’m IN! And PTontheNet has hit ALL of these points this summer! Every 2-3 weeks through-out the summer they have held a FREE ViPR workout at Confluence Park downtown Denver. So each time they have held an event, my girl Sara and I dash out of the office and head down to the park! What’s the draw? GORGEOUS Colorado sunny days, an AWESOME sweaty workout and GREAT peeps! We LOVE to get outside at lunchtime and get in a great workout with other fun people! When we first started going, we didn’t know anyone there, but now each time we go, we get to know a few more new people and get to re-connect with other Denver peeps that also love fitness fun! If you’d like to know more, just hit up www.PTontheNet.com or watch my “LIKE” page on facebook! I try to pass along the invites as I receive them! 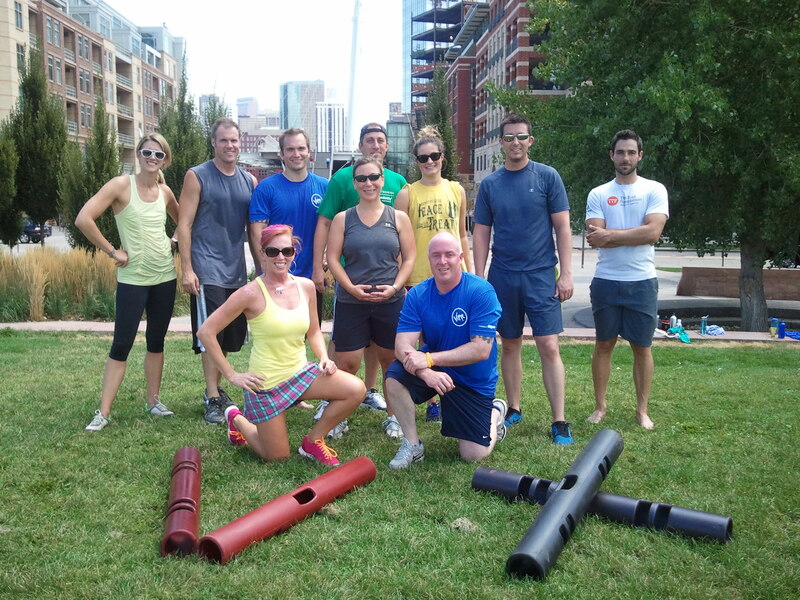 Next FREE summertime noon ViPR work-out is at Commons Park on Wednesday, September 7th… Come join in the fun! This entry was posted on Saturday, August 13th, 2011 at 5:01 am and is filed under Fitness, General. You can follow any responses to this entry through the RSS 2.0 feed. You can leave a response, or trackback from your own site.